Looking for an uplifting message, beautiful music and good fellowship in a traditional Christian worship service? Haven't been to a church in years and feel like something is missing in your life? Or, starting a family and want a moral upbringing for your children? Everything you'll want to know about our Service is here. Every Sunday at 10:30 Bethlehem opens its doors to all. We are a welcoming environment for families looking to share quality time together, singles seeking refuge from the work-a-day world, seniors desirous of comfort and companionship from an active group of their contemporaries, children who could use structure and encouragement, and for all who seek support and prayer. Our Sunday services are known for their uplifting and thought provoking message, the beautiful music from our choir and the opportunity to share in worship and good fellowship. We hold a traditional Christian service based on the Lutheran Book of Worship that includes the sharing of Holy Communion. If you are able to receive communion in your home church, you are always welcome to receive communion at our church, regardless of your affiliation. Music is an important part of our worship. Our services are known for the glorious music that comes from our concert-quality pipe organ, our choir and guest soloists. Our congregation joins in on a variety of hymns drawn from the rich history of Christianity and Lutheranism. If you have any favorites you'd like to hear, be sure to let our Music Director, Maria Rayzvasser, know and we will try to accommodate you on a future Sunday. Children over the age of 3 are welcome at our 9:15 a.m. Sunday School held just prior to services (except during summer). Crafts, activities and lessons are melded into an enjoyable experience that is both educational and reassuring. The children are shown God's love and join the congregation for a portion of the regular 10:30 service. Haven't been to Church in a while? When you enter you will be greeted by someone who will give you a program. You can sit anywhere you'd like. But, if you haven't been to church in a while you may want to position yourself near the middle so you can see when to stand or sit by following the lead of someone nearby. (And don't worry, we never kneel.) Your children may sit with you or, if they're over the age of 3, they can join our Sunday School'ers in the Church basement. The children join us for the first part of the service, get their own sermon (and sometimes a lollypop) and then go back downstairs until communion time. If you have a baby or child who's getting a little rambunctious we have a small sitting room off of the entrance where you can take a breather and still hear the service. At Holy Communion, you're welcome to come up for communion or a blessing, if you prefer. (We're very inclusive, so if you are able to receive communion in your own church, you are welcome to do so at Bethlehem, regardless of your denomination.) You can take communion wine from the big cup or ask for one of the individual cups. Then return to your seat along the side aisle. At the end of the service our choir members and Pastor exit down the center aisle. We remain standing and after the last note has been played and Pastor says "Go in Peace. Serve the Lord" -- we respond "Thanks be to God" -- and it's over. (We often have a coffee hour or luncheon, so as Pastor says his good-byes at the door he'll probably remind you if we do.) Oh, and the restrooms are in the basement, right at the bottom of the stairs. The Rev. 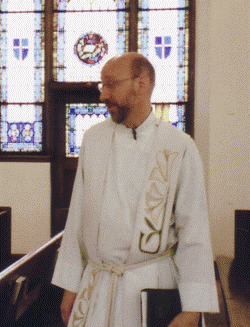 Paul H. Knudsen came to Bethlehem as interim pastor in November 1995. Today he is our permanent pastor. He and our Church Council and congregation direct the day-to-day operations of the church property, ministries, and activities. Pastor Knudsen is a native New Yorker. He was born and raised on Staten Island, attending Zion Lutheran Church. He graduated from Wagner College and attended Trinity Lutheran Seminary in Columbus, Ohio. His internship was in a suburban church in Southfield, Michigan, just north of Detroit. Pastor Knudsen was ordained on November 11, 1984 and his first church assignment was a full time position at Eltingville Lutheran Church & School on Staten Island. He served there for 8 years, from 1984 - 1992. After this experience, Pastor decided to continue his ministry by providing interim support to churches who were in the situation where a pastor had left, but a new pastor had not yet been hired. He did this while pursuing a career in computer programming to better support his growing family. Pastor Knudsen served as interim pastor for Zion Lutheran Church and Christ Lutheran Church, both on Staten Island. His next interim pastor position was at Bethlehem Lutheran Church in Bay Ridge, Brooklyn. His "interim" status was changed when Bethlehem made the decision to call him to his current permanent role. Pastor Knudsen has two children. His son is in law enforcement and his daughter is an elementary school teacher. To contact Pastor Paul Knudsen, please call our church office at 718.748.9502.
most recently adopted at our Annual Congregational meeting on March 21, 2010. 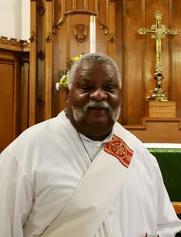 Deacon Tony has been a member of our congregation for several years. He completed the two-year diakonia program of spiritual formation and theological education with the Metro New York Synod of the Evangelical Lutheran Church in America, and was welcomed as Bethlehem's Deacon in June 2014. Maria Rayzvasser is an accomplished organist and music teacher who has performed throughout the world. 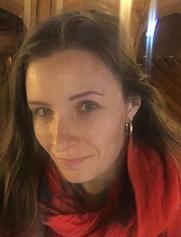 She has a Master of Music Maimonides from State Classical Academy, Moscow, Russia, and a Bachelor of Music from Tver State College of Music, Tver, Russia. She was welcomed as Bethlehem's Organist in June 2017.